Sixth installment of the video game inspired franchise. Back in the late '90s you couldn't flick through a copy of Fangoria without coming across some piece of gossip linking the Godfather of the zombie genre, George A Romero, to a screen adaptation of Capcom's Resident Evil video game series. The Night of the Living Dead director was eventually hired to write and direct a Resident Evil movie, but ultimately was told to sling his hook, as his vision didn't suit Capcom's plans. When Paul WS Anderson was instead handed the job, much enthusiasm for the project drained among horror fans, but Anderson's first film in the series was a surprisingly effective b-movie, still arguably the best video game adaptation to grace screens. Six movies later, most of the goodwill towards Anderson has been lost once more, as the increasingly larger scaled sequels failed to replicate the claustrophobic appeal of that first movie. As with the latest installment in that other '00s horror-action franchise, Underworld: Blood Wars, Resident Evil: The Final Chapter conveniently opens with a quick summary of the series' key moments. All you really need to know is that the big bad of the series, The Umbrella Corporation, have developed an airborne antivirus that will end the zombie plague once and for all. Our heroine, Alice (Milla Jovovich), heads to Raccoon City and The Hive, the location where the series began, to ensure the antivirus is unleashed. Anderson is at his best when he embraces the madness of a premise like Resident Evil, and the opening sequences of The Final Chapter boast some bonkers brilliance. After Alice kills a dragon with a Range Rover (beat that, John McClane), we're treated to a high octane scene involving a tank that wouldn't be out of place in a Mad Max movie, one which ends with a moment of severed-hand splatstick that Sam Raimi would be proud of. Later, Anderson hilariously sends up the superhero trope of the protagonist envisioning how an action scene might play out, turning it on its head with a villain equipped with 'Combat Prediction' software. To the detriment of the film, such moments are all too fleeting, and once Alice arrives at The Hive, Anderson indulges in fan service as he calls back to moments from the superior first film. While the opening set-pieces employ rapid editing, it's excusable, as every cut makes sense, and we understand that if Anderson gave us a good look at his dragon it would likely provoke laughter. It's solid, muscular, b-movie filmmaking. The later scenes however remind us why Anderson's name is often lumped in with the likes of Michael Bay, as hand-to-hand combat is rendered largely incomprehensible with headache-inducing editing that makes little sense other than to create the false illusion that Jovovich is more skilled at martial arts than she really is (most of her moves seem inspired by Joanna Lumley's high-kicking Purdy from The New Avengers). Few filmmakers are as divisive as Anderson. Most unfairly write him off as a journeyman hack, while a small faction of cinephiles believe him a master of his craft. The less hyperbolic truth is that he's probably somewhere in the middle. Anderson isn't a bad filmmaker, but he has made his share of bad films. 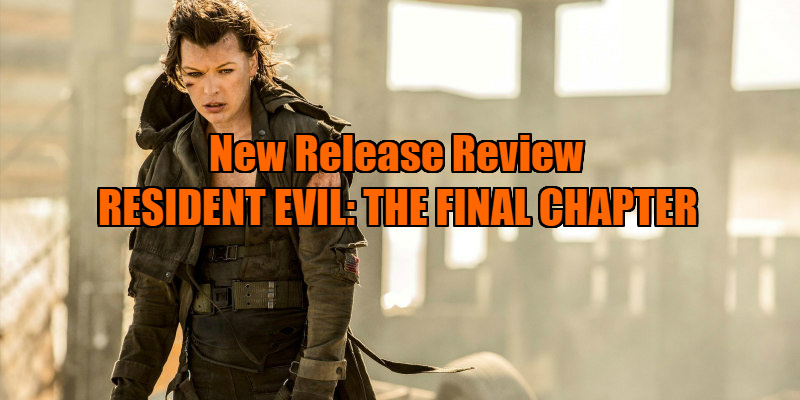 Resident Evil: The Final Chapter is yet another misfire. 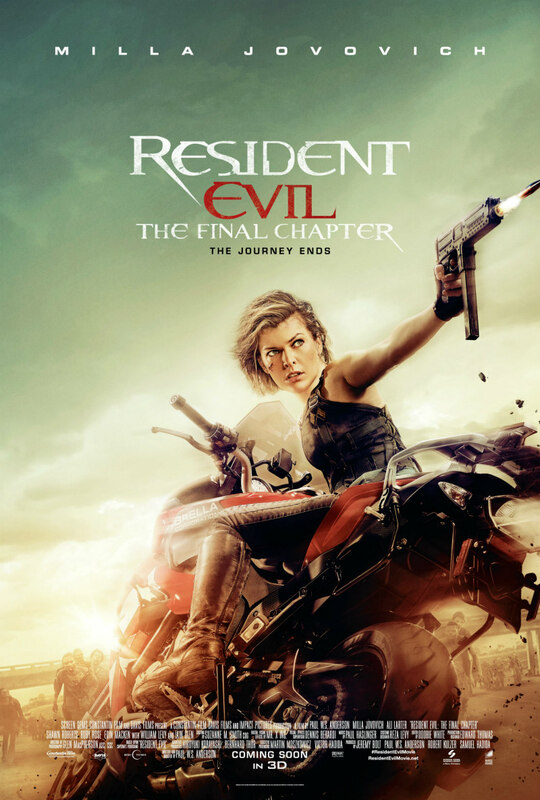 Resident Evil: The Final Chapter is in UK/ROI cinemas February 3rd.